Enchantress Of Numbers: Book review by Dinh. The only legitimate child of Lord Byron, the most brilliant, revered, and scandalous of the Romantic poets, Ada was destined for fame long before her birth. But her mathematician mother, estranged from Ada’s infamous and destructively passionate father, is determined to save her only child from her perilous Byron heritage. Banishing fairy tales and make-believe from the nursery, Ada’s mother provides her daughter with a rigorous education grounded in mathematics and science. Any troubling spark of imagination—or worse yet, passion or poetry—is promptly extinguished. Or so her mother believes. When Ada is introduced into London society as a highly eligible young heiress, she at last discovers the intellectual and social circles she has craved all her life. Little does she realize how her exciting new friendship with Charles Babbage—the brilliant, charming, and occasionally curmudgeonly inventor of an extraordinary machine, the Difference Engine—will define her destiny. Synopsis from hardcover book, 426 pages, copyright 2017, and published by Dutton. I have not read any of Jennifer Chiaverini’s books although she is a prolific writer. 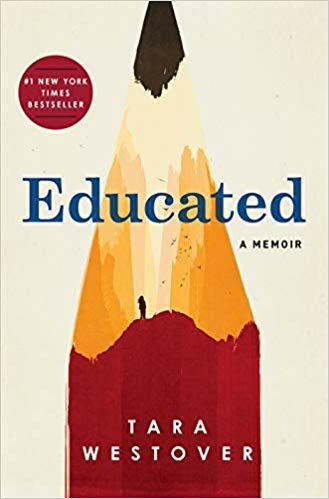 What drew us to pick this novel to read for our book club was that it was about Lord Byron’s daughter, Ada Byron King, who was considered to be the first computer programmer. We were drawn to the unrecognized accomplishments of this woman for that time period. 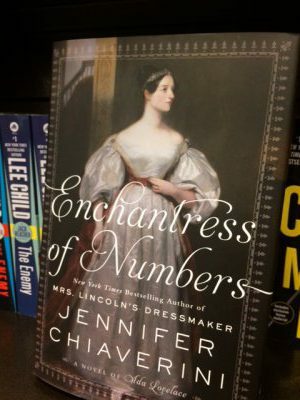 Knowing that Chiaverini was a New York Times best selling author, I went in with an expectation that Enchantress of Numbers would be a decent read. It didn’t disappoint. I enjoyed that this novel was character driven story line. The lengthy prologue at the beginning sets the scene nicely. It tells the story of how the courtship between George Gordon, Lord Byron and Anne Isabelle Milbanke, 11th Baroness of Wentworth and their brief marriage, which resulted in the birth of their daughter Augusta Ada Byron. Enchantress of Numbers retells Ada’s life from when she is seven weeks old. It’s written like a memoir in Ada’s viewpoint. 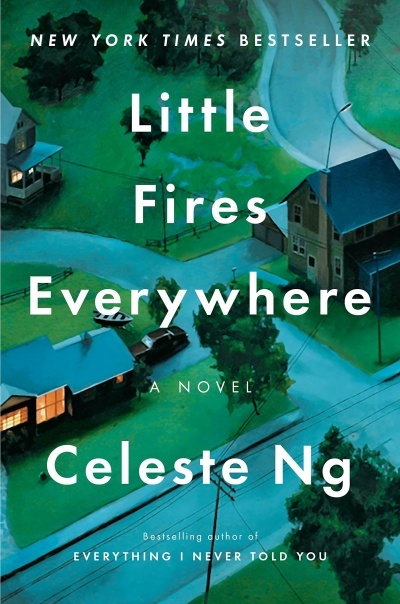 The novel is linear in its story telling which makes it easy to appreciate the character’s development as the book progressed. I enjoyed learning about Ada’s childhood and how she grew up. I especially liked the adversities she faced with the tutors and governess and how she overcame them. We also get to see how Ada’s knowledge grows and how she contributes to Babbage’s Difference Engine, an early form of a calculating machine, almost like the first computer. Without doubt Jennifer Chiaverini is a good writer. I enjoyed Chiaverini’s style of prose. She was successful in creating a great atmosphere and feel of that period. Her style and usage of words were not overly done and was pertinent in the story. 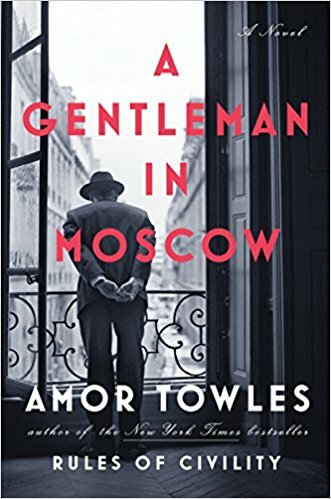 The language and tone was done well and I felt that the characters and setting was described enough to enjoy and suitably distinct. However, some parts of the book was very descriptive and contained lots of information. Although the descriptive parts helped to capture the essence of 1800s, I thought it was an information overload. 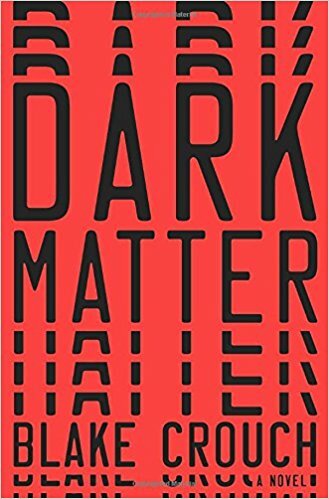 I felt the author squeezed in a bit too much info but overall I glossed over it when it became too much and it really didn’t affect the rest of the book. Enchantress of Numbers contained many rich, interesting and complex characters. I enjoyed the the various people that were in Ada’s life, especially the complex relationship Ada had with her mother. The strength of this book is the ongoing difficult relationship between mother and daughter. Ada was curious as a child and her mother encourage her to study science and mathematics and avoid fairy tales and anything to do with her using her imagination. Ada grew up as a lonely child. She had many nurses, governesses and tutors but her mother was frequently away doing charity work or seeking cures for her ailments. Ada’s brief love affair with her tutor Will crushed her and molded her into accepting her place in society among the gentry. Later, Ada marries William King, Baron of Ockham, first Earl of Lovelace. Though she loved William King, it was a mature love, unlike her young love with Will, a former tutor. Lady Annabella married Lord Byron thinking she could reform his ways but that proved fruitless after she married him. They separated and Ada never saw her father again. Lady Annabella is strong will and also an intellectual woman will many strengths. She is portrayed as the cold and uncaring mother by Ada. Lord Byron only saw Ada for a while when she was a baby. After a couple of months of her birth Lord Byron lived abroad. Mrs. Somerville, a mathematician and scientist, helped Ada in expanding her knowledge. They became good friends. Mrs. Somerville counseled Ada and encourage her in pursuing her interests. Charles Babbage was an mathematician and inventor who created the Difference Engine but never succeeded in building it. The ending of the book was very interesting. It moved away from the Ada’s relationship with her mother and more on Ada accomplishments. I enjoyed the big reveal. As I don’t know much about Lord Byron, it was a surprising twist and it made my feelings towards Ada’s mother change for the better. I could now understand the way she brought up Ada and why. 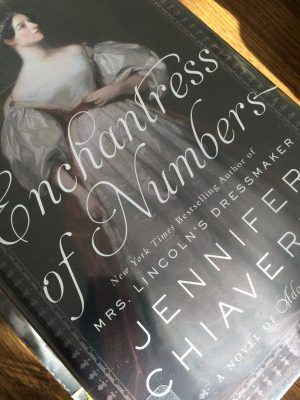 I enjoyed Enchantress of Numbers for its wonderful writing and introduction of Ada Byron King, Countess of Lovelace. I like books that tell of extra-ordinary women who may have been forgotten in history. Ada had intellectual qualities that is worth celebrating and remembering. 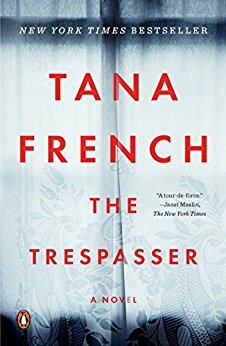 I would recommend this book to fans of historical fiction and especially someone who likes reading the complex relationship between mother and daughter. It’s worth reading. Listen to Enchantress of Numbers for free with an audible trial. Book also available here. Check out Enchantress of Numbers book club discussion questions. I hope you get to read this Olivia. I love the writing in this book. It really conveys the era well and I liked that it focused on Ada’s and her mother’s relationship. We forget how different the world was back then. There’s not a lot of opportunities for women as there is today. This sounds really interesting. I also like when authors shine the light on forgot people in history. Great review! It was interesting to read about her contributions. I do like to learn new things! Such a thorough review, Dinh! Well done!! I didn’t catch if this was fiction or nonfiction? It seems too real. Enchantress of Numbers is a historical fiction. Ada was called Lady Lovelace by people in the book when they talked to her. The book is written like a memoir so it doesn’t really refer to her name much. 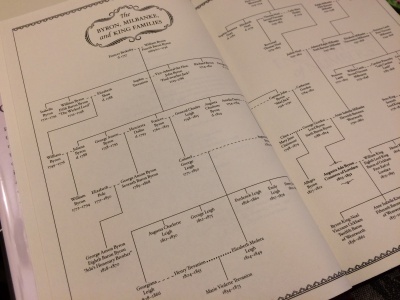 The family tree at the beginning of the book had her as Augusta Ada Byron before she married William King. When she married William King, 8th Lord King and Baron of Ockham, he became the first Earl of Lovelace, so Ada became Countess Lovelace.